Add SiO2 Protection At The Wash Stage. 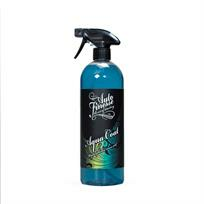 Auto Finesse Aqua Coat will revolutionise the way you approach vehicle maintenance. Suitable for use on any exterior surface, simply spray onto the vehicle during the wash stage, then rinse off to leave an extra layer of durable, glossy, silica dioxide protection, boosting existing coating layers.